Tuesday, it was announced that Josh Donaldson suffered a setback while rehabbing from his calf injury. It’s now expected that Donaldson will be reevaluated in 3 weeks, which means that it will be at least another month before we see him back with the Blue Jays. This news is significant for all of the wrong reasons if you’re a Blue Jays fan. First of all, it means that their best player remains out of the lineup, which is never good news, but it also brings Donaldson’s trade value down even further. With the Blue Jays not close to a playoff spot, they’re going to look to move some players with trade value. Going into this season, one would’ve thought that Donaldson would have significant trade value to other teams, but with this injury setback, it’s going to be very difficult for the Jays to move him. Even if they are able to deal him, they won’t get very much back in return. 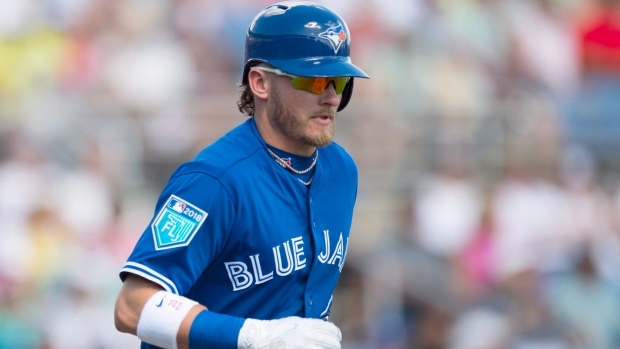 The Jays could also move Donaldson at the August trade deadline, rather than the non-waiver trade deadline in July. A good example of that being done can be seen with Justin Verlander, who wasn’t moved Houston until late August last year. This is definitely a weird situation for the Blue Jays to be in with Donaldson. Not only are they handicapped in not being able to move him, but they don’t know for a fact if he’s still a star player when healthy. He’s shown flashes this year, but he’s only hitting .234, and if the Jays can’t trade him, they’re going to need to ask themselves if it’s worth it to re-sign him. The cost for Donaldson has severely dropped due to this year’s injury-riddled season, so the Jays could get him back on a cheap deal if they wanted to. I could see a situation where Donaldson re-signs with the Blue Jays for on a 1-year deal (maybe a qualifying offer), and then tries to play well in 2019 to make him more money in the next year’s free agency. Donaldson was always supposed to be the big name guy that the Jays traded this year if they were out of the playoff race. Yet, now that he’s suffered an injury setback, teams will likely look to make trades with the Jays for the services of J.A. Happ, Marco Estrada, and maybe some relief pitchers (i.e. Ryan Tepera, Seung Hwan Oh). It’s not ideal at all, but the front office is still going to need to get value out of this year’s trade deadline, even if Donaldson can’t be moved.